The first data from H.E.S.S. 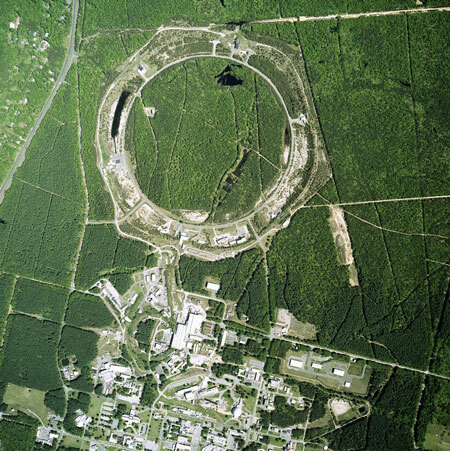 II show the pulsed gamma-ray signal. 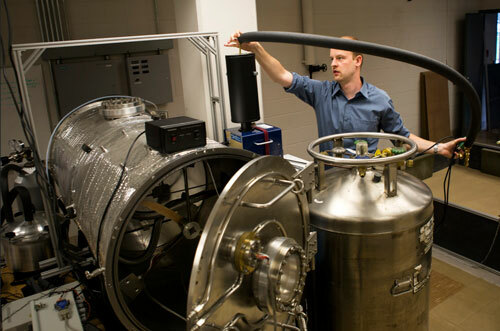 In chambers that mimic Mars' conditions, researchers have shown how small amounts of liquid water could form on the planet despite its below-freezing temperatures. 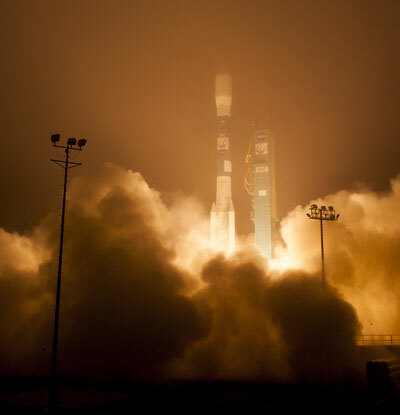 The Orbiting Carbon Observatory-2 soon will begin a minimum two-year mission to locate Earth's sources of and storage places for atmospheric carbon dioxide, the leading human-produced greenhouse gas responsible for warming our world and a critical component of the planet's carbon cycle. 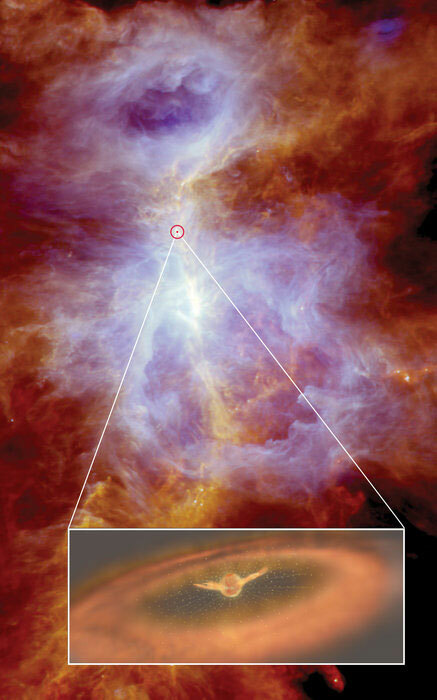 The little-known cloud of cosmic gas and dust called Gum 15 is the birthplace and home of hot young stars. 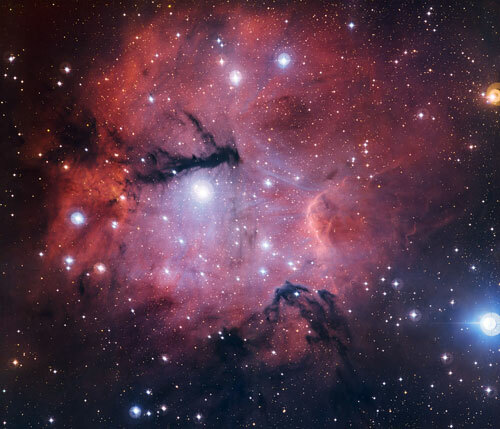 Beautiful and deadly, these stars mould the appearance of their mother nebula and, as they progress into adulthood, will eventually also be the death of her. Astronomers using the Herschel space observatory to probe the turbulent beginnings of a Sun-like star have found evidence of mighty stellar winds that could solve a puzzling meteorite mystery in our own back yard. 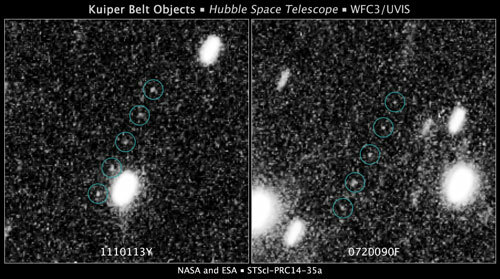 NASA's Hubble Space Telescope has been given the go-ahead to conduct an intensive search for a suitable outer solar system object that the New Horizons spacecraft could visit after the probe streaks though the Pluto system in July 2015. 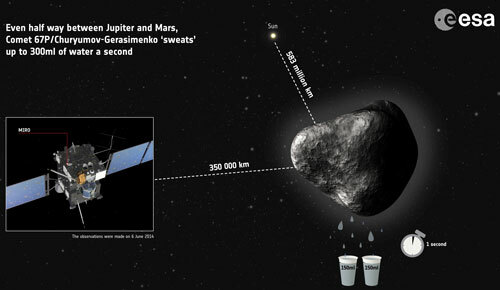 ESA's Rosetta spacecraft has found that comet 67P/Churyumov-Gerasimenko is releasing the equivalent of two small glasses of water into space every second, even at a cold 583 million kilometres from the Sun. Bright spots in a large lake on Titan suggest that Saturn's largest moon supports processes similar to Earth's water cycle. 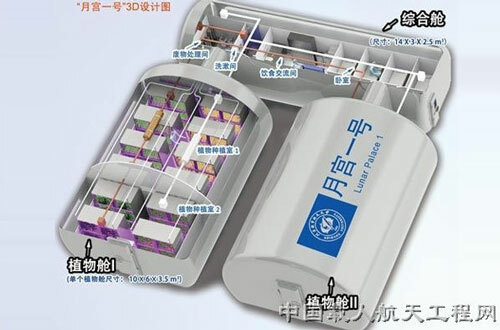 China is a step closer to setting up a lunar base after a 105-day manned airtight test, in which the bio-regenerative life support systems of Lunar Palace 1 sustained the lives of three trial volunteers. Researchers have provided another piece of the puzzle with their precise measurements of a rapidly rotating neutron star: one of the smallest, densest stars in the universe. In the first fleeting milliseconds after the Big Bang, the Universe consisted of a superdense soup of quarks and gluons that were hundreds of thousands of times hotter than the Sun. Over the next 14 billion years, the Universe stretched and cooled, leaving traces of the original brew trapped inside the protons and neutrons of atoms. Scientists are smashing atoms together at high speeds to liberate and observe these remnants of the early Universe and gain a better understanding of our cosmic beginnings. China plans to land a rover vehicle on Mars in 2020 and bring back soil samples from the planet a decade later, a top scientist with the country's lunar probe mission said yesterday. 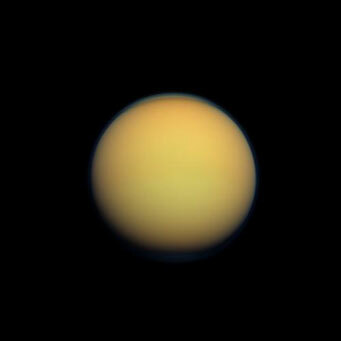 A new study has found firm evidence that nitrogen in the atmosphere of Saturn's moon Titan originated in conditions similar to the cold birthplace of the most ancient comets from the Oort cloud. The finding rules out the possibility that Titan's building blocks formed within the warm disk of material thought to have surrounded the infant planet Saturn during its formation. 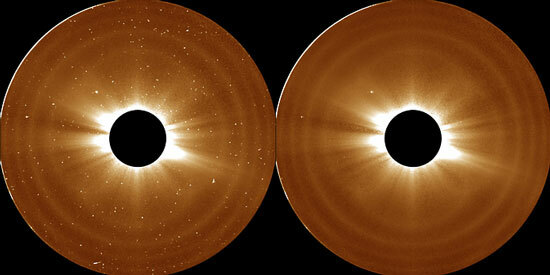 Using the Solar Terrestrial Relations Observatory, scientists have found that this atmosphere, called the corona, is even larger than thought, extending out some 5 million miles above the sun's surface - the equivalent of 12 solar radii. Space may appear empty - a soundless vacuum, but it's not an absolute void. It flows with electric activity that is not visible to our eyes. 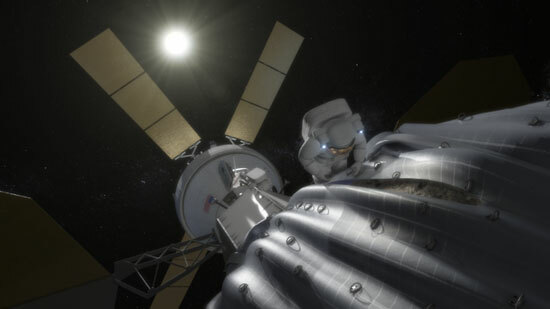 NASA is developing plans to send humans to an asteroid, and wants to know more about the electrical environment explorers will encounter there. Astronomers have discovered three closely orbiting supermassive black holes in a galaxy more than 4 billion light years away. 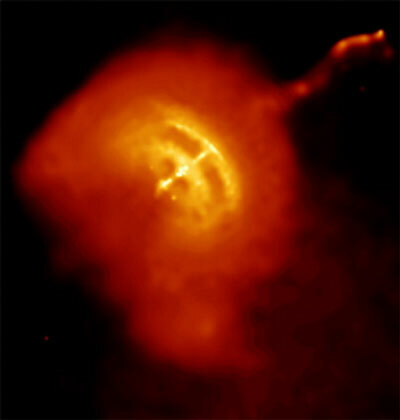 This is the tightest trio of black holes known to date. 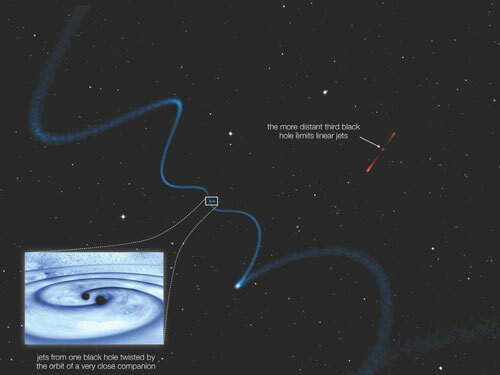 The discovery suggests that such closely packed supermassive black holes are far more common than previously thought.